Apple's two new flagship smartphones, of course, the iPhone 8 and iPhone 8 Plus was released on September 12. The iPhone 8 and iPhone 8 Plus are very stunning devices, and I think it is going to have a tremendous spike in demand in the market world. A few weeks ago, after encountering several rumours of iPhone 8, Apple confirmed the release date of the smartphone to be September 12, and it was truly fulfilled. • When will iPhone 8 and iPhone 8 Plus be on sale? Not only these two smartphones were launched during the event. Initially, people thought the only smartphone to be released was iPhone 8. Apple did launch three smartphones during its special event at Steve Jobs Theater, Cupertino. 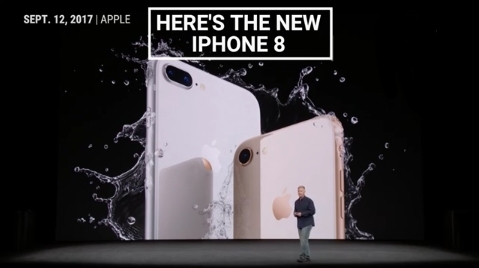 The three smartphones are the iPhone 8, iPhone 8 Plus, and iPhone X. This post contains everything you need to know about the iPhone 8 and iPhone 8 Plus. While on my next post on Apple will be about iPhone X. Before knowing the specs/features and price, let us get to know some comments said during the launch event. According to Tim Cook during the launch, “Our intention has always to create something powerful, magical, that the hardware virtually disappears”. He also added it was “ a new move for iPhone that will set the path for technology for the next decade”. The rumour was true, iPhone 8 Plus features a 12MP dual-lens Camera and the iPhone 8 a 12MP Camera with a larger, faster sensors, deeper pixels and a new colour filter. For clarity, the iPhone 8 has a wide-angle camera while the iPhone 8 plus has wide-angle and telephoto cameras. Know more about their cameras on Apple's website. According to Apple, both smartphones’ cameras shoot the greatest quality video making ever seen in a smartphone, accomplished by a better video stabilization and 4K video of up to 60fps. 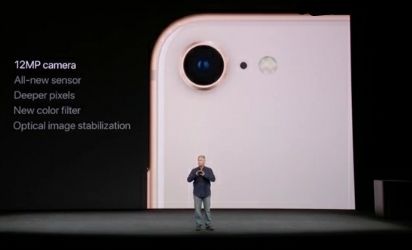 Now with iPhone 8, you can be able to shoot slow-move videos at 1080p 240fps. In addition, iPhone 8 is designed with Stereo speakers as well, performing better and louder than the speakers of iPhone 7 with 25%. The speakers produce deeper bass too. Both devices have similar look as the iPhone 7 and iPhone 7 Plus. The screen size of both smartphones varies. 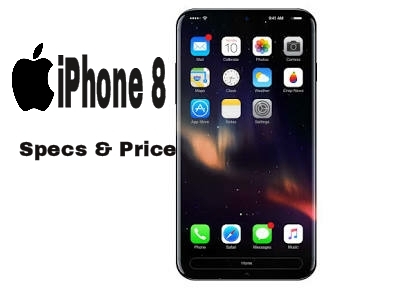 For iPhone 8, it is built with a 4.7-inch display screen size alongside a 1334 x 750 pixels while the iPhone 8 Plus comes with a 5.5-inch display screen size having 1920 x 1080 pixels. Both smartphones support HD retina display. One amazing thing about these two iPhone smartphones, they are built with glasses coating them, strengthened by a laser welded Steel and Copper. The primary purpose of this glass is to make the smartphones water and dust resistant sealed, and also to make them charge wirelessly. For the first time, Apple has introduced wireless charging technology to the iPhone series. 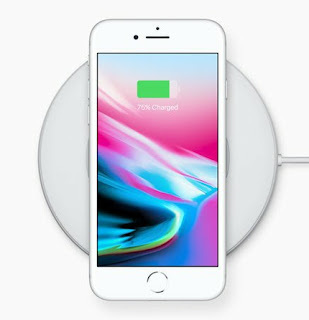 All three smartphones launched during the event (including iPhone X) supports wireless charging. That means these smartphones can be charged simply by placing them on a power pad. 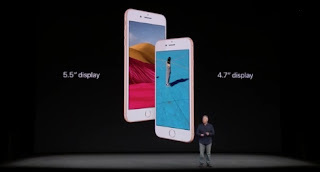 The three Apple's latest flagship devices will come unboxing, running on the latest iOS 11 operating system having tremendous features like better multitasking, peer-to-peer Apple pay, improved camera, and new safety features. iPhone 8 will be available in space grey, blush gold, and silver colour. The price varies depending on its internal storage size. The iPhone 8 price in the U.S for the 64GB and 256GB variants are $699 and $849, respectively, while the iPhone 8 Plus for the 64GB and 256GB variants will cost $799 and $949 respectively. For iPhone 8 Plus, in Nigeria, the 64GB will cost N380,000 while the 256GB should go for a whooping N500,000. The iPhone 8 price in India for the 64GB and 256GB variants should go for Rs. 64,000 and Rs. 77,000 respectively. While the iPhone 8 Plus will cost Rs. 73,000 for the 64GB storage variant and Rs. 86,000 for the 256GB storage variant. WHEN SHOULD IPHONE 8 AND IPHONE 8 PLUS GO ON SALE?? These smartphones will go on sale on September 22. But before that day, you will be able to make pre-order for any of the iPhone of your choice from September 15. 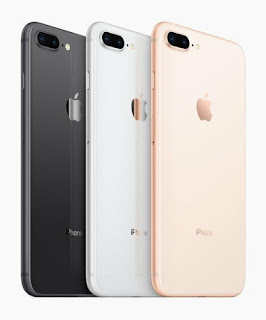 If you do not want to purchase any of these Apple's new flagship devices, you can upgrade your current iPhone iOS to the latest iOS 11 which will be available for download effect from September 19. So above is everything you need to know about iPhone 8 and iPhone 8 Plus. For more detailed information on these two flagship smartphones, Read up Apple's official specs review on their website. Please support my hard work by sharing this post on any of the social platform you belong to using the below share buttons. Share your view with us using below comment box.